Love The Look Of A Rottweiler And The Personality Of A Lab? 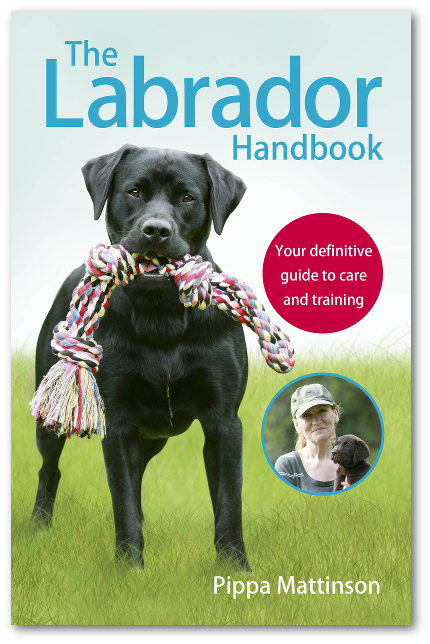 Or Want A Labrador With A Bit Of A Protective Streak? Then You Are Probably Thinking About Buying A Rottweiler Lab Mix Puppy. But What Can You Expect From Combining Two Very Different Personalities Into One Dog? When two popular dog breeds are crossed, the resultant mix is sure to be a hit. This isn’t just a fad, either. Mixed breeds are clearly here to stay. Some people even believe they are healthier. But how much of the hype is true? The latest exciting mix is the Labrottie, a cross between the Labrador and the Rottweiler. Rottweilers are among the top 10 most popular dog breeds in the US, and Labradors actually hold the number 1 spot! So the Rottweiler Lab mix is off to a good start. But, is a Lab x Rottie puppy right for your family? What might they look like, will they be friendly and what health problems should you be on the look out for? We’ll start by looking at where the Labrador Rottweiler mix came from! What is a Rottweiler Lab mix? 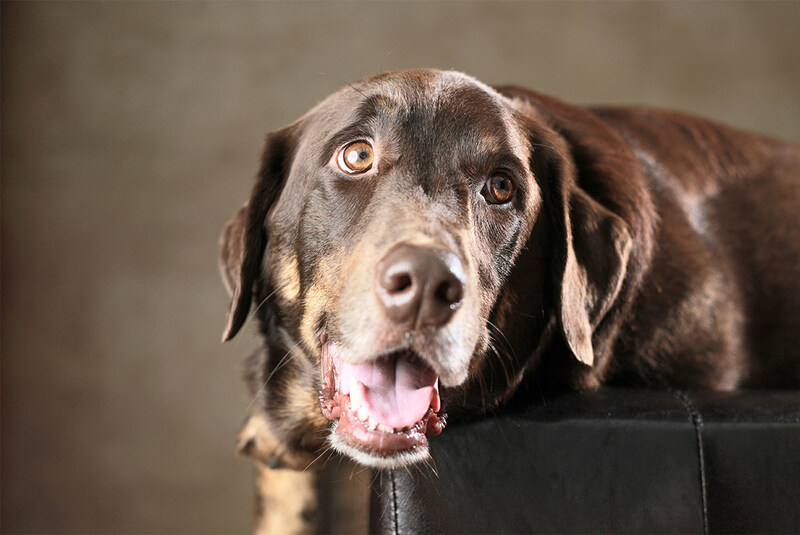 A Labrottie, as they’re commonly known, is a Labrador and Rottweiler mixed breed. The resulting dog borrows features from both parents, or one or the other. You might end up with a Labrador-like dog with the characteristic Rottweiler coloring, or the other way around. But you could also end up with a random combination of the two. These dogs have a reputation for very different personalities. Your Labrottie could be anywhere along the spectrum. The Rottweiler Labrador mix is a bit of a dice roll. One of the best things about crossed breeds is the wide range of potential shapes and personalities your dog could grow to have. But this can have it’s downsides as well. Sometimes, we have very specific requirements for what we want in a dog. So how big do Rottweiler Lab mix puppies grow? For clues on the size of a full grown Labrottie, the first place to look is the parents. Labradors and Rottweilers are different sizes, and your puppy may fall anywhere between. Rottweilers generally weigh up to 110 pounds, while Labradors are significantly less heavy set at 65-80 pounds. Rottweilers height can be up to 27 inches at the shoulder, whereas Labs only grow to a maximum of 24.5 inches to the shoulder. Your Rottweiler Lab mix could be anywhere on the spectrum of smallest Lab to largest Rottie. 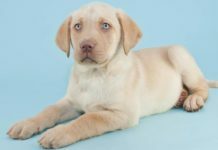 Both breeds can vary in size within themselves so it stands to reason that larger Labrador and Rottweiler parents will have a larger Labrottie pup. Due to this large degree of potential variance inside, if you definitely don’t want a dog as big as a Rottweiler it’s probably best to steer clear. A Labrottie might well hit the higher end of the Rottweiler’s size range, and this could leave you with a dog that is bigger than you’re comfortable with. The Labrottie has the benefit of two parent breeds with generally low maintenance coats. Both Labradors and Rottweilers have short, easily groomed coats. So their Rottweiler Lab mix pups will definitely have the same length coat. Brushing shouldn’t need to be any more than weekly. Bear in mind, though, that Labradors shed quite vigorously, so at certain times of year your Labrottie may find himself in need of more regular brushing. This is because Labs have a ‘double coat’ that protects them from the cold in winter. Whether your Labrottie inherits this particular feature is down to the individual. Although Rottweilers are a little bigger and shed a little less, the main difference between the breeds is personality. Labradors have a proud history as faithful retriever dogs, whereas Rottweilers have an equally proud history as guard dogs. Labradors are generally friendly, and are bred specifically for the task of returning hunted game to their owners. A dog bred for this purpose needed to be comfortable around all sorts of people. Rottweilers, in their guarding capacity, have been bred in a way that a fearful and distrusting attitude toward strangers. After all, a guard dog who is happy to greet strangers isn’t much use in protecting your property or livestock. But how does this combination affect your pup? Well, the problem is, you won’t know until they’re older. First generation mixes are kind of like rolling a dice, you’re not sure what combination of characteristics you’re going to get. You might end up with a dog that looks almost like a Rottweiler, with the Labradors social personality. Equally you might end up with a protective guard dog that looks exactly like a Labrador. The worry of this is when you are bringing up a family pet, you don’t want them guarding your home. As a breed, Rottweilers are responsible for a disproportionate amount of dog attacks. A certain amount of this could be to do with the sort of situations the breeds find themselves in, but we don’t know that. And we can’t deny statistics. They certainly appear to be among the more aggression-prone breeds. This should be seriously considered by people with kids. The overwhelming majority of people killed by aggressive dogs are children as they’re much more vulnerable. Guarding dogs are generally good with their families, but families have friends. Kids bring over other kids, and a family pet needs to be accepting of this. There are two ways we can help. One is by meeting the Rottie parent and making sure they are totally at ease in the presence of you and your family. Another important aspects in the development of a dogs personality, though, has to be the way we raise them. The idea of using traditional training techniques with a dog with any Rottweiler in them may be a daunting task for some owners. You don’t want to be a in physical contest with a dog stronger than you are. Fortunately, nowadays we have better and safer methods for training dogs. The first step is always socialization. Introducing our dog to lots of other dogs and people at a very young age will help to desensitize them to strangers. To make them happy to accept people coming and going in the home as normal and nothing to be afraid of. With a Rottweiler Lab mix puppy, make sure you have new visitors every day and that a large proportion of them are young. The reason we have to do this right at the start is because all puppies have a period of absolute confidence when they’re very young. In the wild they would be under the protection of their family, so fear would be unnecessary. This is therefore the best time to throw them into all sorts of new situations. Take full advantage of your fearless pup, this attitude won’t last forever. By the time they are full grown they shouldn’t have any instinctive fear of them; this is important as almost all dog attacks are out of fear. Positive training techniques also play a vital role in crafting the obedience and temperament of a dog. For anyone still considering punishment-based training, I would strongly advise against it. Studies have shown that dogs trained in this manner are less obedient, and more likely to attack both their owners and strangers. All dogs require a good amount of exercise to keep them in shape. This is especially true with physically capable breeds like the Rottweiler and Lab. Mix these two together and the same is still true. Given a good amount of space to run around in, your Labrottie will thrive. This isn’t just nice for dogs, it’s good for them too. Lack of exercise combined with poor diet can unfortunately be deadly. Dogs that don’t exercise enough and eat too much invariably put on more and more weight. Obesity in dogs, as in humans, leads to diabetes and other complications. These are both active and strong dogs, and you’ll need to put in some extra effort towards walking and running them on a regular basis. They also need a lot of attention during the day. Neither parent does well alone, and the puppy is likely to be the same. Your Rottweiler Lab mix needs an owner who works from home or can bring them along during the day. Otherwise they are likely to become bored and destructive, or suffer from separation anxiety. Pedigree dogs can suffer from genetic disorders, and although mixed breeds may be healthier in some cases, it doesn’t remove the risk. 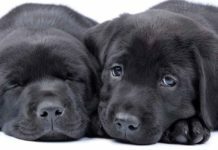 Breeding two dogs that are genetically dissimilar results in a phenomena called hybrid vigour, whereby outbreeding undoes a lot of the harm done by inbreeding. But this isn’t a magic wand. These dogs can still carry on genetic diseases from either of their parents given the right circumstances. Both Labradors and Rottweilers suffer regularly from hip dysplasia, meaning their hips are improperly formed. One nasty complication of hip dysplasia is a disease called degenerative joint disorder. A 2001 study found that around 11% of Labradors and 20% of Rottweilers suffered from this disease as a result of hip dysplasia. Elbow dysplasia is a very common condition in rottweilers. 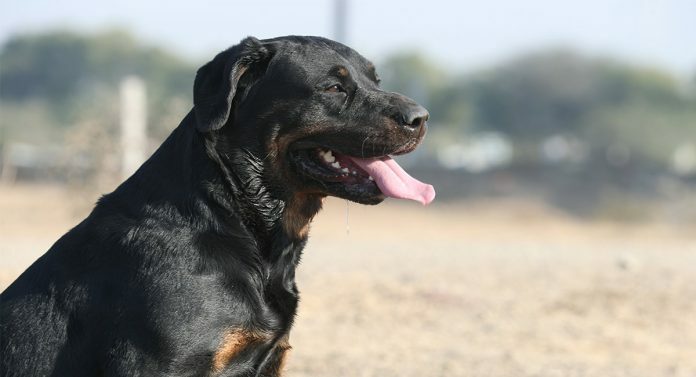 A study of german rottweilers found more than half suffered from this ailment. Rottweilers also appear to be susceptible to a few nasty neurological disorders, namely nueroaxonal dystrophy, and leukoencephalomalacia. Both of these diseases are degenerative, meaning they gradually get worse and worse. Unfortunately there is no cure or treatment for either, and they sadly can be fatal. 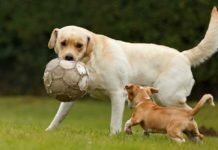 One of the more commonly reported concerns in labradors is exercise induced collapse. This strange condition causes labradors in the full swing of physical activity will suddenly be unable to hold itself up. Itn has actually been linked to a gene, so it is doubtless inherited from dog to dog. If your dog suffers from this even once it’s important to talk to a vet, it’s likely to happen again and you can discuss a proper course of action. 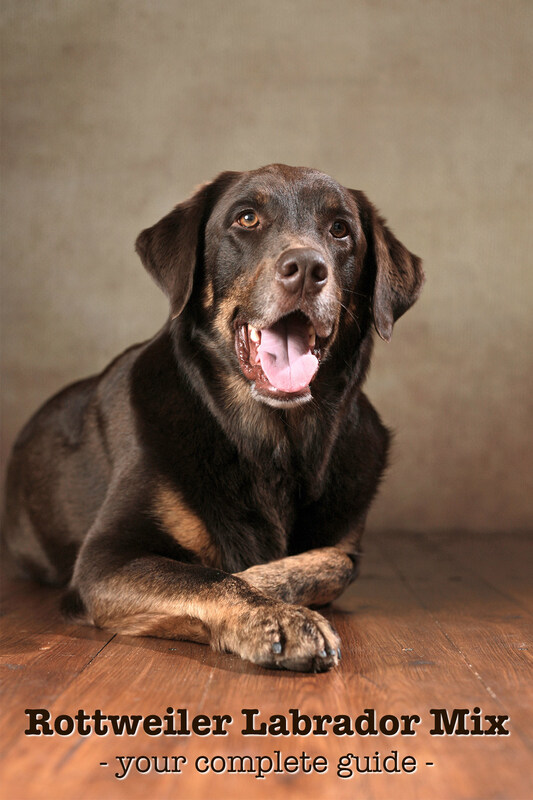 Any of these problems could potentially be passed on to your rottweiler x labrador mix. Although he is potentially less likely to suffer from any of these diseases than a pure bred dog, the risk is not removed. Health testing is still a vital part of good breeding practice, even for mixes. Lab and Rottweiler mix puppies are as cute and cuddly as any other. You must see your Lab cross Rottweiler’s parents before committing to a puppy. It’s especially important to see the Rottweiler parent, as this is where potential guarding instincts are likely to come from. Both parents should be friendly, healthy and confident. This is by no means a guarantee, but stacks more of the odds in your favor. The best way to find a happy health puppy is by finding the right breeder. 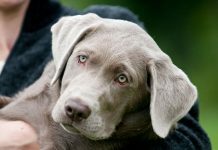 Mix breeders are rather more difficult to find than the breeders of pure breeds, especially if you’re after a specific combination. 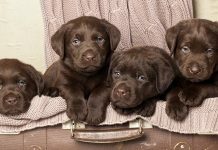 Recently people have started to breed Rottweiler lab puppies deliberately, but they have existed for quite a while by accident. As the labrottie grows in popularity, you’ll probably see more deliberately mixed puppies advertised. 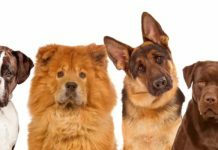 You need to avoid backyard breeders by only going to someone who has mixed a beloved pet due to their excellent health and wonderful temperament. Good breeders ask lots of questions, won’t home puppies to places where the family are out all day, and are happy to be asked lots in return. Both the Lab and Rottie parent of your puppy must have excellent hip and elbow scores. The breeder should provide you proof of this. They must also be clear for PRA and have recent unaffected eye tests from their vet. Do Labrotties make good pets? What makes a pet good depends on the person, and also the individual pet. One of the drawbacks of mixed breeds is that it’s a bit of a lottery. Your Lab Rott mix could look like a Labrador, but with the guarding instincts and characteristic wariness of the Rottweiler. Equally your dog could look much more Rottweiler-ish and have the gentle, easily trainable personality of a Labrador. The likelihood is it will be somewhere in between. Socialization and training go a long way to producing a happy and friendly dog. But genetics play an important role. Rottweilers have been typified as guard dogs and protectors, and you might be put off if you’re just after a furry friend. A Rottweiler Lab mix is best suited to an adult home, where the family is around for much of the day. One that loves keeping active, and is committed to positive reinforcement training methods. If you are happy to carefully choose the pup’s parents, meet them and assess their temperament and health, then to socialize your pup rigorously, then you will have the best chance of raising a happy, confident Labrottie. Bought our dog in 2013, her mother was a lab and she got pregnant when she went in a corn field,. The owner had no idea what the father was. And the puppies were black some of them had white spots on their chest and all of them had brown marbling on the bottom half of their legs. Ours is the blackest of them all only in certain light we can see the marbling. I’ve been looking at pictures of Labrotties and I’d say I’m 99.99% sure my dog is one. She looks just like a black lab. But she could make people turn around when at the door. She can also pull us and our three seater couch by tugging her toy when were holding it. And she hates water ?? I have a beautiful chocolate lab who has a very protective personality. When i recently checked her records, she was microchipped as a lab rottie cross. I wonder if this is why. hahaha she is magnificent. would love to share a pic of her with you, and get your opinion if you think she looks like a mix. it would explain why she has no fear. she hates dogs fighting and thinks she is the park bouncer. she jumps in and gets them to stop. regardless is she is a pure lab or not, she is 100% dog and my best friend in the world. Wonderful read! I have a lovely labrottie that had been brought back to the shelter 3 times! He proved difficult to train, not quite house broken and huge. 120 lbs! He is amazing with our children. On one occasion our 9 month old daughter purposely shoved her fist down his throat when he tried to take her toast. He laid down in submission immediately and ran to me whimpering for protection from this 20 lb baby! He is very protective of our property and even an electric underground fence at full strength does not always keep him. In the yard if really feels there is a threat. And was quite aggressive towards the “threat”. In one case a thankfully very understanding jogger who he pinned to a fence snarling viciously. And so much barking! He chases butterflies out of the yard. He also pooped by the front door at night consistently no matter what we did. Worked with a trainer and learned it was his way of protecting us by marking the entry point for strangers. She suggested dog formulated cbd oil which has made all the difference! If you have one of these lovely dogs in a neighborhood I definitely recommend a strong high fence and slow introduction to friends who come by. Overall, great dog, and he has a forever home with us! Any dog that responds to commands from an infant is a keeper in my book! I have a 3-4 year old Labrottie that I just rescued from my local shelter. Only had him 2 weeks and now he’s growling and barking at me over my bed, or trying to get him OFF my bed so I can go to bed and tonight he’s been growling/barking at me over a tennis ball and stuff toy. Not sure what to do. Mine did that for the first month or so. Once he figured out who was in charge he quit trying to challenge us in this way. Very informative blog! Thanks for sharing the blog.